Since the antiquity, the area of Kalithea (Καλλιθέα) was famous for its thermal, therapeutic springs. Located in the north-eastern part of the island of Rhodos, on the coastal road to Faliraki, it is distant just 7km from the capital city and is accessible by public transportation. 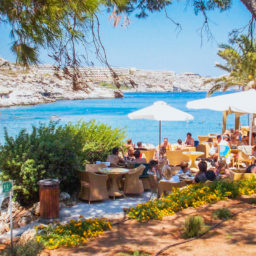 A very popular place among the locals and the tourists, Kalithea is scattered by numerous coves and bays, each one with its particular character. Umbrellas and sun beds are almost everywhere, some even on the rocks sculptured out by the sea. 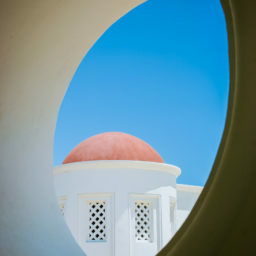 The most important feature of Kalithea are undoubtably, the sparkling white buildings of the Thermal Baths. 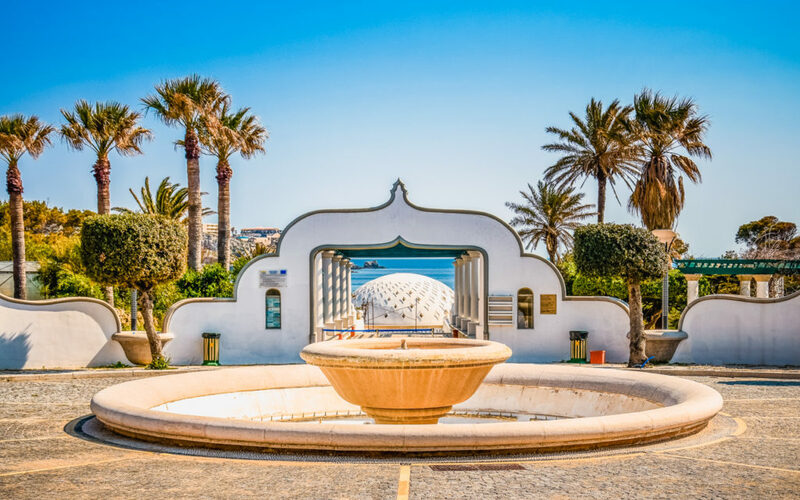 Constructed during the late ’30s, under the Italian rule of the island, they represent a glaring example of the Spa architecture mixed with the particular colonial style developed in Rhodos. 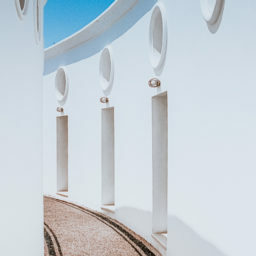 Masterfully combining different architectural influences from Arabic to Baroque, the architect Pietro Lombardi, creates an architectural composition considered among the best of the time. Although the springs are no longer in operation this fabulous building is considered a distinguished Cultural Monument. 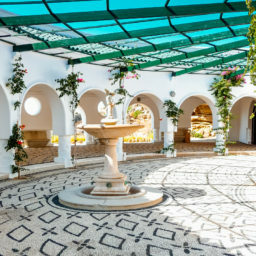 Surrounded by palms and pine trees, the main building is used as a venue for weddings and other important events while other buildings have been converted to dinning and cafe facilities. The main beach has a stretch of sand. The emerald waters of the sea match perfectly with this idyllic scenery, adding one more touch of beauty to the whole picture.